So you want to make an unforgettable impression at this year’s Holiday Party. You’ve got the dress. You’ve got the bag. You’ve got the shoes. Now you’re planning the finer details – smokey eyes, red lips, and of course… fresh, perfect brows! Windows are the eyes to the soul, so make yours shine this holiday season! Take a look at some before and after photos of recent treatments at Blink Brow Bar. 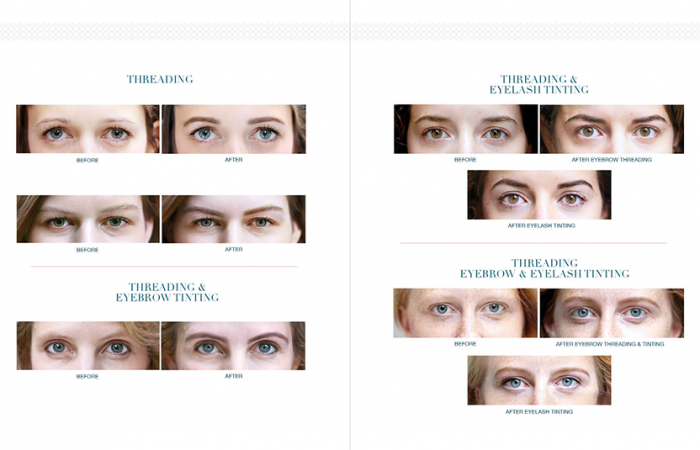 We do more than just threading – we also do eyebrow and eyelash tinting, for a long lasting, beautiful look. To book an appointment online, click here.